This is a test project built hastily on a solder less breadboard. 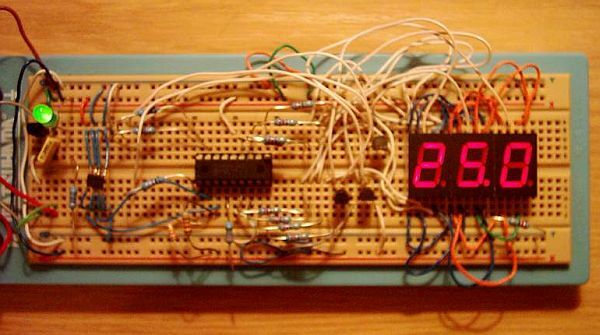 It uses a LM75 to read the current temperature via I2C and displays the result on three 7 segment displays. It uses a PIC16F628 with an internal 4 Mhz clock. Note the LM75 is a surface mount device, so I had to solder wires onto it to use it on the solderless breadboard. Sorry for the bad quality photo. 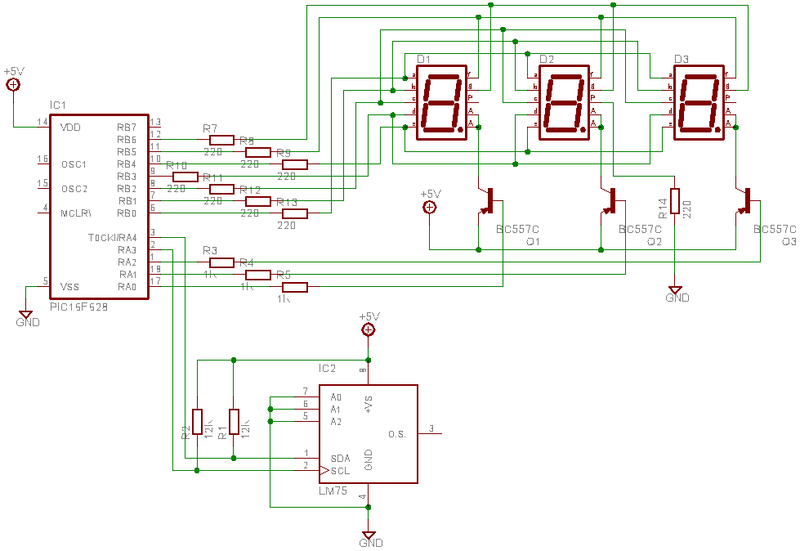 The stuff on the left is a 5V voltage regulator and not shown on the schematic below. I am trying to recreate your project as you have graciously laid out for a novice such as myself. The difference that I have made, is that I am trying to increase the scale of the LEDs to 4″ requiring 3.3v max on each segment. Any ideas on the pitfalls that I may encounter? BTW, Great looking website! I have to admit, its been a long time since I tinkered with this stuff, but I expect that with the correct value resistors you can limit the voltage to 3.3v. Hi, i have reproduced your project. And i was so amazed it worked great. The only problem is the LM75 chip that seems to come only on SOP package. Isn’t there any adapter or converter to DIP or something?. Anyways, you are awesome. Newby here again. To program the PIC I am using a PICkit2 and a small bred board. Is there a guide how to wire the bred board as an interface between the PICkit 2 and the 16F628? I found the PICkit 2 programmer adapter design from http://www.sq-1.com/pickit2.html It appears I was successful at programming my chip with your HEX file. Awesome! Now I am about to power up my thermometer. I am trying to determine how many amps should the 5V regulator have. Is there any additional wiring that I should do? Ideas? This project is quite simple as the author has wrote in the previous site on 100acre.org . I had no problem at all in order to make it work, once again great job for beginners on electronics like myself. To me the hardest part was to solder wires to the LM75, but i am already contacting a taiwan supply company that makes SOP to DIP adaptors (www.cpu.com.tw) to bypass that problem. Except that, i believe everything else works fine to me. By the way, does your voltage regulator is a LM7805?, i use one, but checking on national.com, its already discontinued. Good luck Brian. where to get LM75 and PIC16F628 from? The answer. Digikey (http://www.digikey.com) they provide an excellent service, another choice can be Allied electronics (http://www.alliedelec.com), their service is also good. Please I’d like to get the same project in PicBasic language because I have pic develpoment board simulator and I’m good in v.b, basic so I’ll be most great full if you kindlly help please. Friend, do you have the Proteus DLL model file for LM75? The base package of Proteus doesn’t include it. I only get 05.9 on the leds. jlib libraries i have not found on the Internet. Can you explain me, how can i change the application for output to two 7 segment displays? Hi, i am actually a novice at this. I was wondering if you can recommend me a PIC with a built in I2C so that i need not bit-bang it. Thank you. can i use pic16f8a replacement for pic16f628..? ?pls reply..as soon as possible..
Hy! I have N75 temperature sensor instead of LM75.is there any need to make changes in source code and hex file? Great synopsis and really very well written. If this was a forum you would have a sticky on this.Keep it flowing, Thanks. can i replace LM75 with LM35?pls reply..as soon as possible.. I have made your temperaturesensor circuit with the LM75. 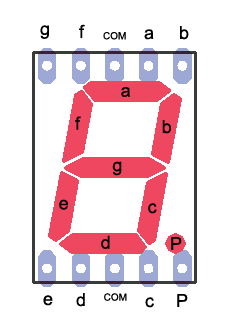 The cable between the sensor and the 7-segment display is 20 centimeters. My circuit works ok but in my room it is actually 22°C and my sensorcircuit says it 26,5°C. What do i have to adjust in the circuit (resistors? or maybe software programme?) to make it more accurate so i also measure the correct 22°C on my 7-segment display instead of 26°C ? Hoping to hear something from you. quite an intresting project, good work! I wander if you can sugest me a circuit that can detect temperatures up to 300′ C. Want to build a preheating plate for BGA reballing. Hope to hear from you and good luck for future projects. First and for most I would like to thank you for yourI had already started building a temperature sensor using a “Common cathode” seven segment display and LM35DZ precision integrated-circuit temperature sensors. Now that I have come across your project, I am tempted to utilize your circuit. My question is I see that you are using PNP transistors so that means your 7-segment display must be Common anode and the 7-segment display I have is Common Cathode, would that matter ? 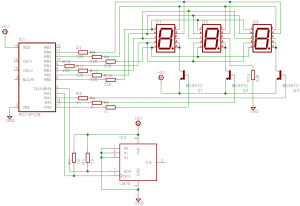 And will LM35DZ work with your circuit ? Please get back to me quick.